Here at InSight EyeCare, we are dedicated to providing treatment and surgery for our patients with glaucoma. Glaucoma is when your intraocular eye pressure is too high. If left untreated, it can cause damage to your optic nerve, which can result in irreversible vision loss. Glaucoma is quite serious and needs to be treated as soon as possible. 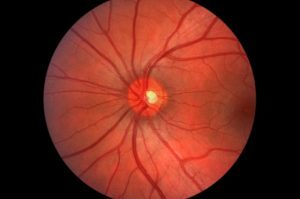 There are many ways to treat glaucoma, depending on the severity of the disease. You can use eye drops and/or take pills. There are also some surgeries that can help. Eye drops can be quite helpful if you catch glaucoma early. The eye drops get absorbed into your bloodstream, so it is important to close your eyes for one or two minutes after you put the drops in. Most eye drops can be uncomfortable at first because they cause either a burning or a stinging sensation, but that should last only a few seconds. If the eye drops are not helping enough, we can also prescribe pills to be taken orally while you continue to use the drops. These are used to decrease the production of fluid in the eye. These can have some side effects. Any time you go to the doctor, you need to remind him or her that you are on glaucoma medicine because it can interact with and effect other medications. Surgery for glaucoma is an option when the medications are not helping or you are experiencing too many side effects. We offer laser surgery and traditional surgery. Laser surgery can be done quickly and efficiently. The most common surgery is a trabeculoplasty, during which we point the laser beam where your eye is supposed to drain. This changes the drainage system, allowing more liquid to drain, lowering your intraocular pressure. It may take a few weeks to get the desired results, and many patients need to stay on their medications for a little bit until we see the full effects of the surgery. Traditional surgery may be needed if laser surgery is not helpful. The most common surgery is a trabeculectomy. During this procedure, we open a flap in the sclera (the white part of your eye), allowing your eye to drain much better. Sometimes the flap will close because the body tries to heal the injury. However, this is often very successful and many patients can go off of their glaucoma medications. If you have any questions about glaucoma, its treatment, or the surgical options we offer, don’t hesitate to contact us today at (713) 462-2010.